If you've been diagnosed with breast cancer, you're probably wondering how long treatment will take. How long do the individual treatments such as surgery, chemotherapy, and radiation therapy take—and what are the average recovery times? How long will it be until you are back to normal? It's important to note that for those with estrogen receptor positive breast cancer, oral medications may need to be taken daily for 5 to 10 years initial treatment is completed, but this is usually considered "maintenance treatment" rather than "active treatment." A diagnosis of breast cancer can really disrupt your life—emotions, physical health, finances, and relationships may be affected. When you were diagnosed, you may have been working full-time, raising a family, or pursuing your dreams. Your calendar was full and your life was busy. Suddenly, your schedule is invaded by a raft of appointments with surgeons, oncologists, nurses, technicians, and therapists. 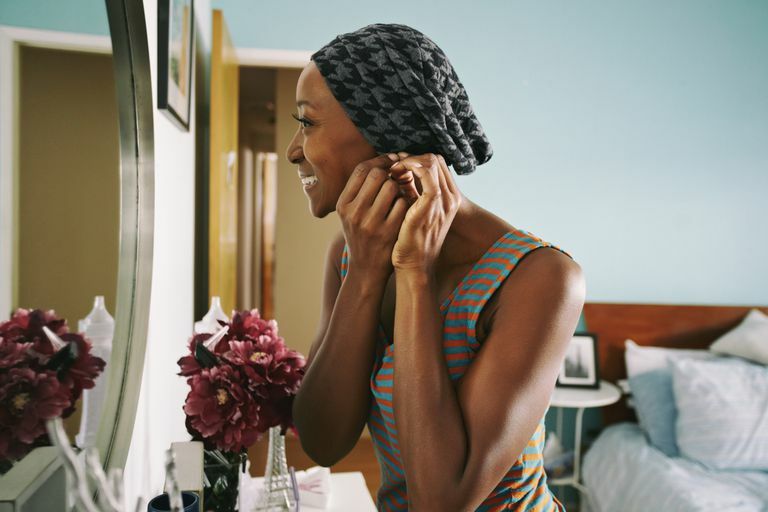 You instantly have a new job—getting through breast cancer treatment. Let's look at how long treatments and recovery can take and discuss keeping track of your time. If you are working outside the home, you may need to know how much sick leave time to request. Be sure you know the sick leave policy at your job and give your supervisor the best estimate you can. Remember that if you hit a snag during treatment, you'll be out longer than you had planned. So, be sure to let your boss know what's going on. Keep a calendar in your health notebook to track all appointments. Don't overbook yourself, especially on treatment and recovery days. Ask for help and delegate tasks while you are recovering. Many people are surprised that they feel differently than they would have expected before their own diagnosis. You may find that working is helpful, and instead of being too tiring, takes your mind off of your health issues. In contrast, some people had envisioned being able to work all through treatment but find that they are unable. Everyone is different. The most important thing is to honor your own feelings. The Americans with Disability ACT (ADA) states that employers need to provide "reasonable accommodations" for those facing a disease such as breast cancer. These accommodations include being able to take off time for doctors appointments and to recover from treatment. Other accommodations, such as a different work schedule or the opportunity to work from home are helpful for some people. The not-for-profit organization​ Cancer and Careers has resources and provides free assistance for many people who are struggling to balance their work life with their cancer treatment. The amount of time it will take you to recover from surgery will depend upon the surgery you have and whether you have a sentinel lymph node biopsy or axillary node dissection. Lumpectomy (7-14 days recovery). A lumpectomy is an outpatient procedure, so you'll most likely go home the same day of surgery. You may have surgical drains in place, so don't hurry back to work. If you have lymph nodes removed during your lumpectomy, healing will take longer than one week. Get someone else to do the driving and heavy lifting, and postpone your housecleaning, sports, and gardening. Mastectomy (1-3 weeks recovery). A mastectomy is an inpatient procedure, so you'll be in the hospital one or two days after surgery. You will have surgical drains in place for five to seven days (sometimes up to 3 weeks) to help with healing. These will be removed during a follow-up appointment with your surgeon. Barring complications, your incisions should heal within three to four weeks. If you have lymph nodes removed during your mastectomy, healing will take somewhat longer. A mastectomy is often done with immediate breast reconstruction, but that should not delay healing from surgery. Get plenty of rest and take the time to process your emotions while you recover. Re-excision (3-7 days recovery). Not everyone will require a re-excision if surgical margins were clear. This is an outpatient procedure that is done after a lumpectomy to ensure clear margins. You will go home after your surgery. You may have a surgical drain to manage, but it can be removed relatively quickly. Take it easy at home until your drain is no longer needed. Breast reconstruction (recovery times vary). Because breast reconstruction can range from implants placed during a mastectomy to a free flap transplant, your recovery time will depend on the complexity of your reconstruction method. Some types of reconstruction involve two or three separate surgical procedures to complete your new breast. If you have radiation therapy, reconstruction may be delayed until you have completed all sessions. Breast cancer chemotherapy is given in different schedules depending on where you re being treated. Commonly, one type of chemotherapy is given every 2 weeks for 4 cycles. The following chemotherapy may be given every 2 weeks for 4 cycles, or weekly for around 2 months. Overall, chemotherapy takes about 4 to 6 months to complete. Most of the time you will have your blood drawn and meet with your oncologist before each session, but this can vary as well. Each infusion will take three to four hours and oncology visits and lab appointments should take anywhere from 15 minutes to an hour, depending on how busy your clinic may be. If your side effects are mild, you can return to normal activities in between each treatment. But if they are bothersome, plan on taking time off to recover. With some regimens, you may be given a dose of a medication to increase your white blood cell count the day after your infusion. These medications can sometimes cause bone pain that may last for 3 to 4 days. Recovery times from chemotherapy vary with each person. Remember that chemotherapy is a systemic treatment that will affect your entire body. You should plan on one to three months of recovery time per each standard dose of chemotherapy once your treatments are over. Radiation time will depend on which type of radiation treatments you will be having. Many of the newer protocols are requiring less than the former typical 33 sessions. A standard course of breast radiation treatments after surgery is set up for every weekday for six or seven weeks. Any side effects you may have will be cumulative, so plan on taking some time to rest on weekends and at the end of treatment. Accelerated Partial Breast Irradiation (APBI) can be completed in three weeks or less. Brachytherapy, or internal breast radiation, can be done in five days, with mild side effects and a short recovery time. Breast cancer treatments can take quite a while and you may wonder how soon you will get your life back. You may need to let family, friends, or your boss know how much time you will be in treatment. Below is a table with some estimates for how long treatments could take depending on your diagnosis. Times do not include breaks between types of treatments, consultations, second opinions, additional testing, and imaging studies. If you are going to have hormonal therapy ​(endocrine therapy) after primary treatment ends, you may be taking medication to prevent recurrence for five years or longer. An "average case" of early-stage breast cancer could take a year for diagnosis and treatment with short-term recovery. All the cases in this table assume early-stage breast cancer, with no metastasis. Keep in mind that this assumes you do not have any complications due to your treatments and no early recurrence of breast cancer. Metastatic breast cancer will be treated and monitored differently. Treatments are given to slow the spread of metastatic breast cancer, reduce tumor size, reduce pain, and extend survival. Each case of metastatic breast cancer will require a treatment plan for the duration of the patient's life, so estimating times of treatment and recovery is done on a case-by-case basis. With metastatic breast cancer, treatment is never really "done." Most people will be undergoing some type of treatment to slow the growth of the tumor for the rest of their life. In fact, asking when they will be done with treatment is one of the things not to say to someone with metastatic cancer. The table below is a rough framework for some common scenarios. These cases presume a diagnosis of early-stage breast cancer which is removed by surgery and then given adjuvant treatments to prevent a recurrence. There are many exceptions to the cases presented here. For example, a diagnosis of triple-negative breast cancer with a small tumor, clear lymph nodes, and surgical margins will be treated with three to six months of chemotherapy, while a case of low-grade ductal carcinoma in situ with a small tumor, clear lymph nodes, and surgical margins may be treated with radiation alone. In addition, the table does not include the possibility of up to five years or more of hormonal treatment for hormone-sensitive breast cancers. Discuss your diagnosis with your oncologist to get the most accurate picture of your overall time in treatment and recovery. * Note: Times for treatments and recovery are estimates—each case will vary. Times do not include breaks between types of treatments, consultations, second opinions, additional testing and imaging studies. Recovery times depend on your health before diagnosis, your body's response to treatments, lifestyle factors, and levels of physical activity during recovery. Exercising, eating a healthy diet, avoiding alcohol and tobacco, and gradually returning to normal activities can speed your recovery, as can addressing any sleep issues you continue to have after treatment. Emotional recovery is a more complicated process that each of us works through on our own schedule. If you feel a nagging depression or have a constant fear about recurrence, ask for help. Studies even suggest that survival is improved in people who go through cognitive behavioral counseling, aka "talk therapy." Most physical side effects will decrease over time as your health rebounds, but some may linger. Your body will bear scars from the battle—lymphedema and chemobrain may affect you longer than you'd like. Your relationships may have changed, and many women state it can be years before their energy levels are truly back to normal. We have only just recently started addressing "survivorship concerns" in people with breast cancer, such as the cognitive changes due to chemo brain, persistent fatigue, chronic pain, and more. Many cancer centers are now offering "cancer rehabilitation" which may include counseling, physical therapy, and more to help restore your body as close as possible to where you were before cancer—or maybe even better. It's currently thought that only 5 percent of women surviving breast cancer are offered this "star rehabilitation" therapy, but at least 60 to 95 percent could benefit. Life after breast cancer involves change, so give yourself plenty of room and time to adjust. Survivorhood is a great place to live! De Groef, A., Van Kampen, M., Dieltjens, E. et al. Effectiveness of Postoperative Physical Therapy for Upper-Limb Impairments After Breast Cancer Treatment: A Systematic Review. Archives of Physical Medicine and Rehabilitation. 2015. 96(6):1140-53. Joly, F., Giffard, B., Rigal, O. et al. Impact of Cancer and Its Treatments on Cognitive Function: Advances in Research From the Paris International Cognition and Cancer Task Force Symposium and Update Since 2012. Journal of Pain and Symptom Management. 2015. 50(6):830-41. Loh, S., and A. Musa. Methods to Improve Rehabilitation of Patients Following Breast Cancer Surgery: A Review of Systematic Reviews. Breast Cancer. 2015. 7:81-98. McNeely, M., Binkley, J., Pusic, A., Campbell, K., Gabram, S., and P. Soballe. A Prospective Model of Care for Breast Cancer Rehabilitation: Postoperative and Post-Reconstructive Issues. Cancer. 2012. 118(8 Suppl):2226-36. Stout, N., Binkley, J., Schmitz, K. et al. A Prospective Surveillance Model for Rehabilitation for Women With Breast Cancer. Cancer. 2012. 188(8 Suppl):2191-200.